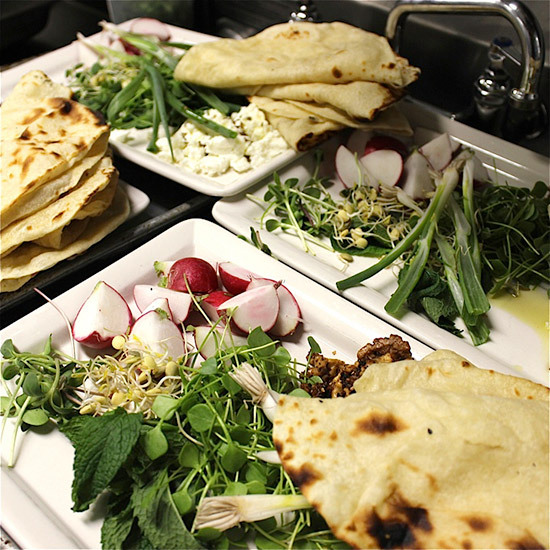 To kick off the Persian New Year, cookbook author Louisa Shafia (The New Persian Kitchen) made a traditional, superflavorful dinner alongside Michael Solomonov at Zahav. The Persian New Year (called Norooz or Nowruz) is celebrated on the first day of spring and lasts for thirteen days, ending this year on April 1. To kick off the celebration, cookbook author Louisa Shafia (The New Persian Kitchen) made a traditional, superflavorful dinner alongside Michael Solomonov at Zahav, his modern Israeli restaurant in Philadelphia. Here, some delicious highlights from the dinner.